A bird made of white clay. He is still drying and waiting for the first firing, the gray will become white, great background for the colors I have on mind. The murals are on three floors of the Inova Children's Hospital in Virginia. Three themes were chosen, earth, water and air. 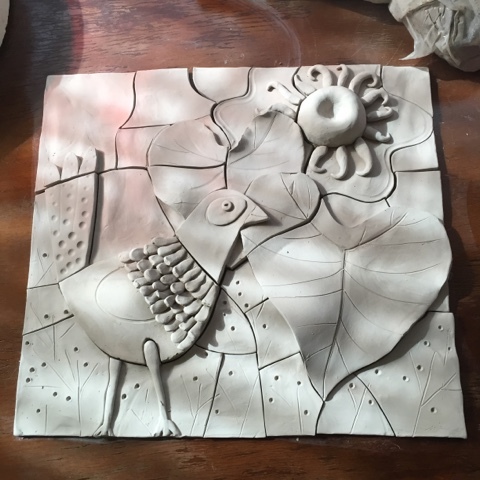 The idea of making the bird is to show how the mural would look like if it was made fully out of clay. I'm excited to show you the final results. It was very hard for me to let go my old broadcasting service, it is like somehow missing cord phones... nah! it wasn't that old, it just became too annoying for my viewers with all those unwanted Ads. Welcome to my new live video through Periscope, you can read about how it works here and easy and portable way to watch me working and chat. I'm still on the "testing" stage, I made one broadcast and realized I need an iPad holder for my tripod so you can have a good angle view of my worktable. For now, while I set everything up I'll be doing some broadcasts, join me through twitter, download the app and you'll receive notifications when I am online. 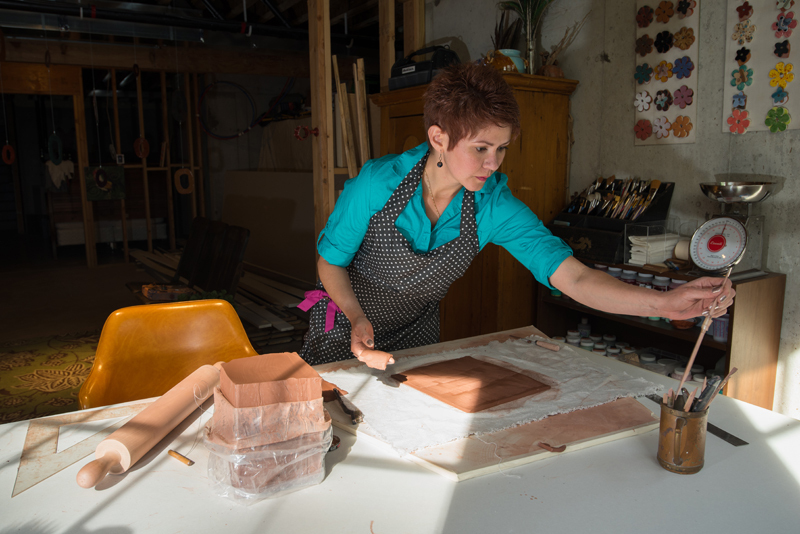 Let me know what would you like to see me working on, maybe glazing an intricate piece, using a mold, hand modeling a flower, there are so many possibilities.